In July 2014, we received a DMCA take-down request for all Top Gear UK, US, and Australia torrents from FACT, a British trade organization representing the BBC. While I suspect that FACT acted on their own rather than at the request of the BBC, we still must honor their request to take down the content that we have been hosting for over 10 years now. Rather than leaving the main site online without any Top Gear torrents, I have decided to just retire the main site and redirect traffic here to the forums. Fifth Gear is a great show but it isn't worth dedicating a whole website to. I also don't want to try to keep an episode directory going as it's a lot of work and Wikipedia does a much better job at it. For the countdown timers, I've added a link to the top of the forums. It's a sad day and really an unfortunate end to the work that we have been doing in an effort to spread access to Top Gear television shows across the globe. Long before Top Gear was available here in the US, we were providing Americans (and others) access to this wonderful show. More recently we were providing access to the American spin-off of the show to British and worldwide audiences. I strongly believe that through the increased access to the show that we provided, more global fans were created and in turn have helped airings on local channels such as BBC America prosper. Thanks for a great 11 years and thanks to Quiky, PacketCollision, TechZ, Adunaphel, VUK, and everyone else who have helped me keep this site going over the years. any chance the ticker for the episodes will be added anywhere on the site???? For the countdown timers, there's other great sites out there such as TV Calendar. Seriously, thank you and the others for all the years of hard work in keeping this website and forum going. 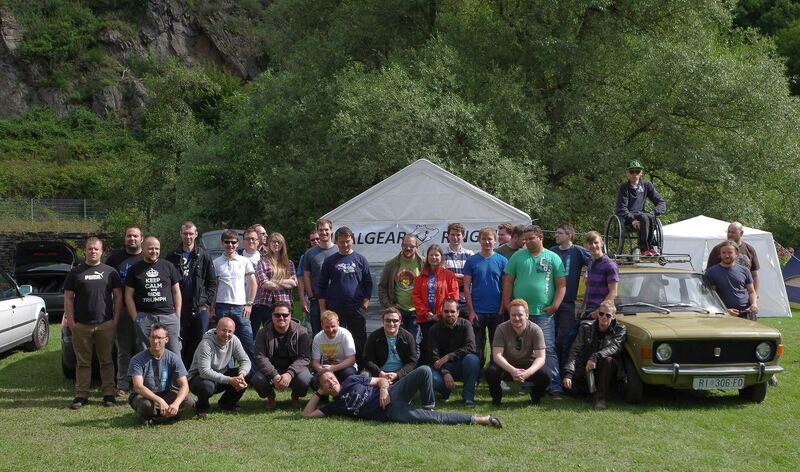 Without finalgear, I wouldn't know where to get my Top Gear fix. Not really a goodbye but thanks for everything! Wow!!! Very sad that it has come to this! Thanks for the many years of hard work! maybe one day we can see another countdown timer on the top of the forum? Yes I know there are sites dedicated to this task, but to see the timer for 3 shows all lined up was nice in conjunction with a great forum. Cheers FinalGear.com for your great service to the motoring world! It was indeed nice but it required work on my part to keep those timers up to date. It was a pain. I remember when I first watched a 30 minute edit of Top Gear on BBC World back in 2004/2005 and I was so blown away on how the cars were thrashed along the road, with drifts and so on. All car shows I have watched until then would have a journalist driving gently and praising all the good stuff of a Ferrari, Porsche or other sports car. After watching it, I searched the webs to find out more about that car show and then stumbled upon Final Gear, which became a daily source not only of TG / FG stuff but other things as well. Thanks Viper, Quiky and so many others who helped keeping this site alive!! Thanks everyone. It was indeed nice but it required work on my part to keep those timers up to date. It was a pain. It was so well done, I'm not surprised it may have been a pain. However, it was certainly appreciated by TG fans around the globe. At least the forum remains for TG fans to have a post-episode chat and nitpick editing errors. You are 100% the reason I'm a top gear fan and have been able to evangelize my friends into liking the show. I somehow stumbled across this place about 9 years ago and have loved the show ever since. Sad to see it go, but stuff can't last forever I suppose. Thank you for bringing me the best show on earth and for all the work you've done! Been coming here pretty much non-stop since 2006. Still plan to frequent the forums, but it's certainly sad to see the main page being taken down. Thanks for all the hard work you put into the sight Alex, it is a sad day indeed. Thanks for a great 11 years and thanks to Quiky, PacketCollision, and everyone else who have helped me keep this site going over the years. I first started watching Top Gear many, many years ago when I ran across a short video on YouTube of Hammond and May playing car darts. I thought it was pretty cool so I started looking for other Top Gear videos on YouTube. Eventually, I found this site and the rest is history. I'm sure the takedown came from BBC legal and not from the Top Gear crew directly. IIRC, Andy Wilman has acknowledged Final Gear with some teasing about downloading, but he did it with a wink-and-a-nod. They know that torrenting and Final Gear are the reason that Top Gear became the worldwide mega-success it is. Hopefully they will stop in to say goodbye or do it in some other way. I need to know why there's a Zastava on this picture, with Croatian licence plates? I'm sure the takedown came from BBC legal and not from the Top Gear crew directly. I don't even think it came from the BBC. FACT is like the MPAA sort of -- they're an industry group. Then they took it around the 'Ring. Is there anything we could do with the main site, rather than just killing it? Transition into something else car related?